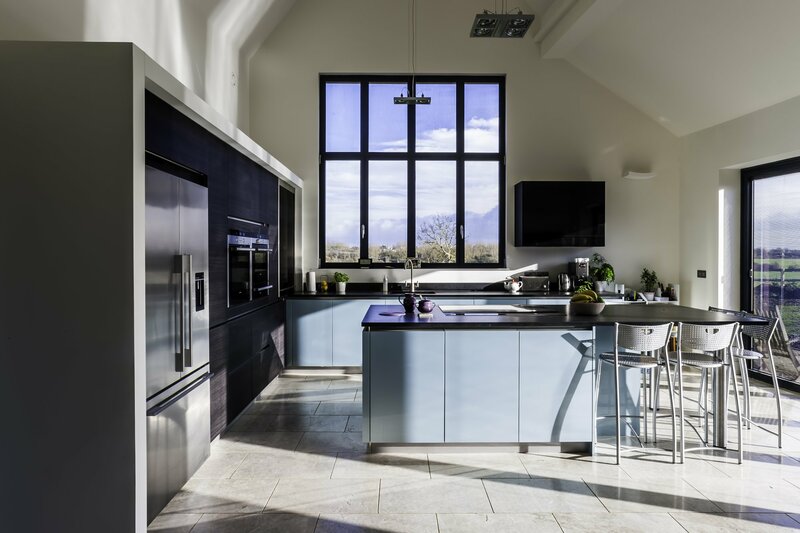 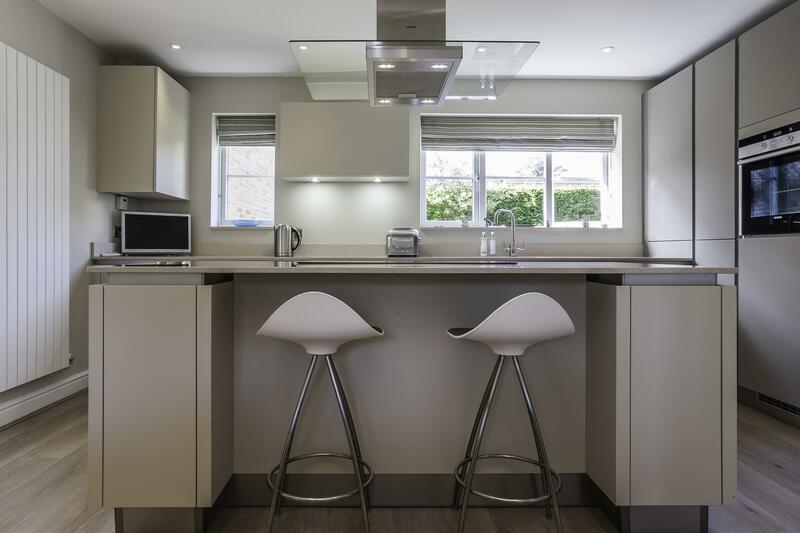 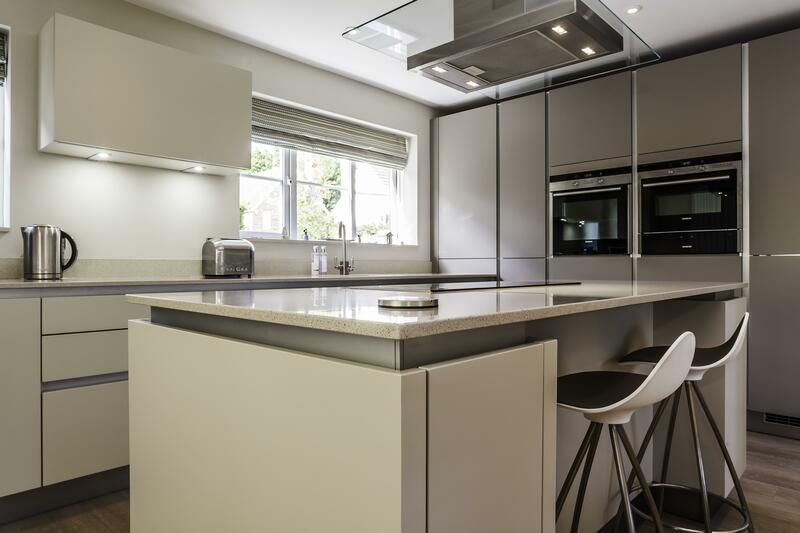 This modern kitchen is a great example of a handleless kitchen that will stand the test of time. 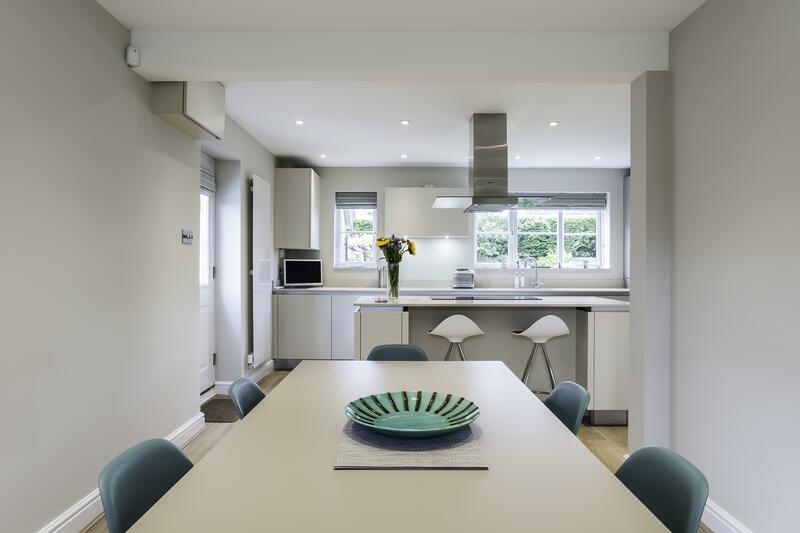 The client opted for a neutral colour palette, ensuring this space will look just as beautiful in 10 years as the day it was installed. 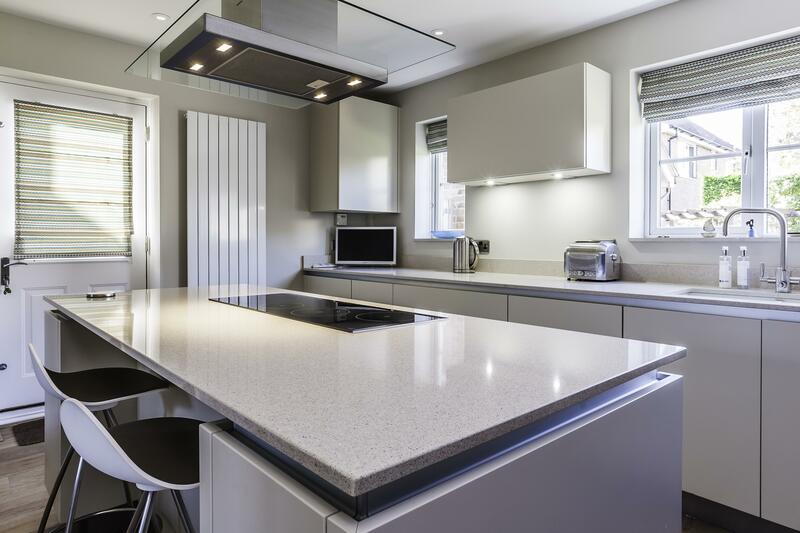 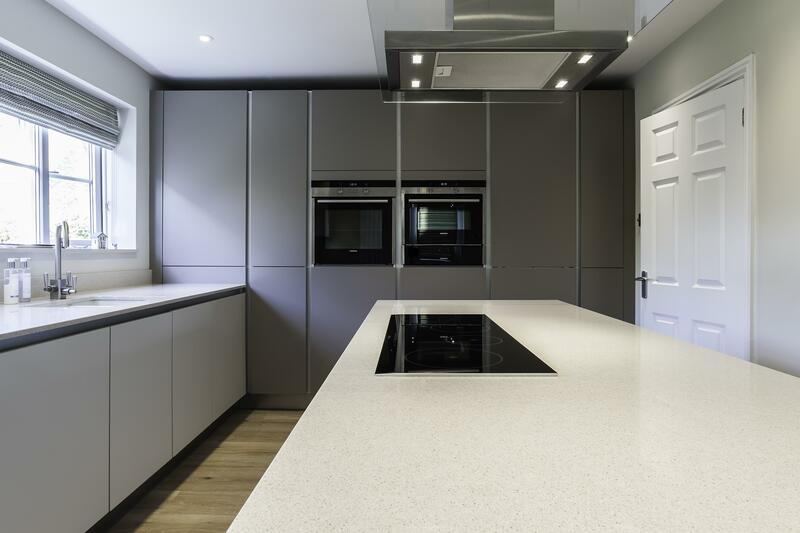 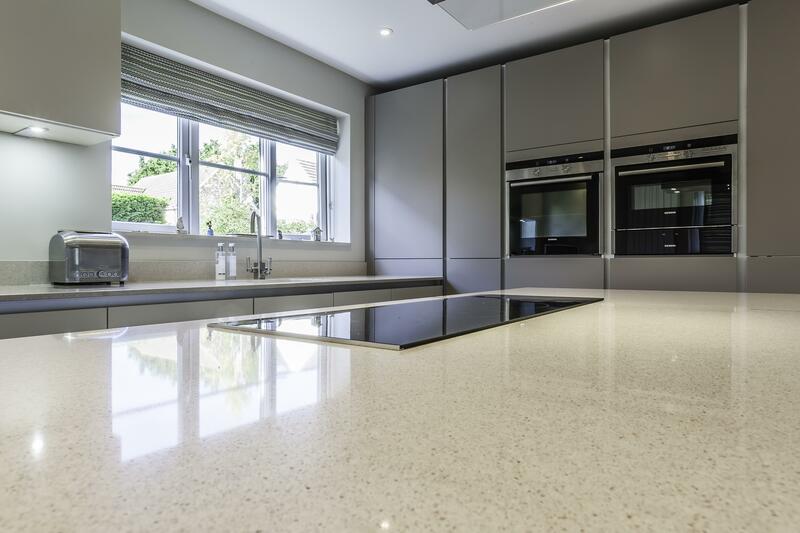 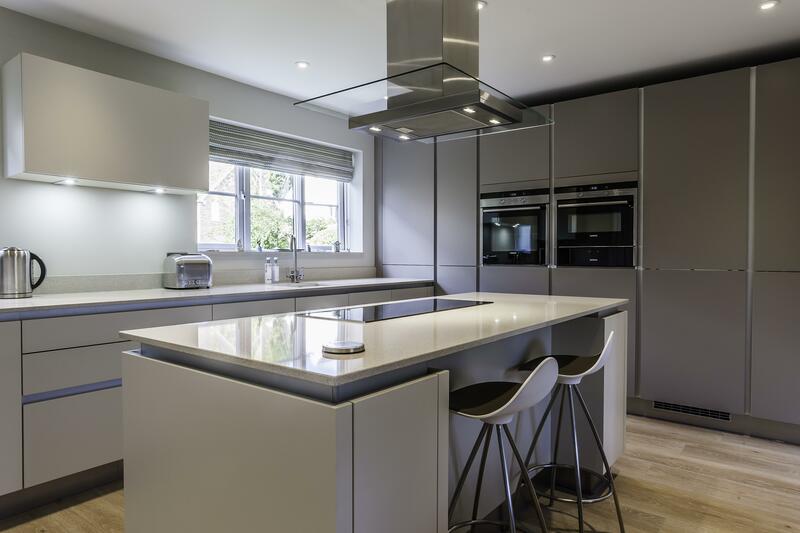 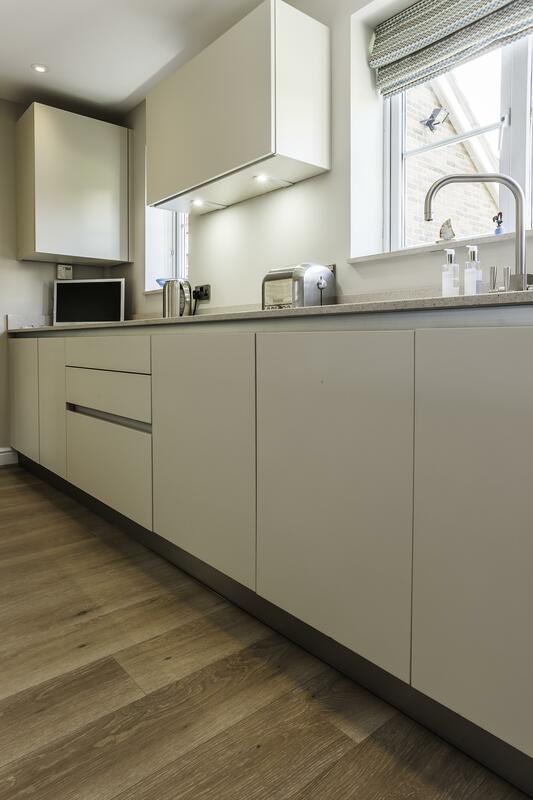 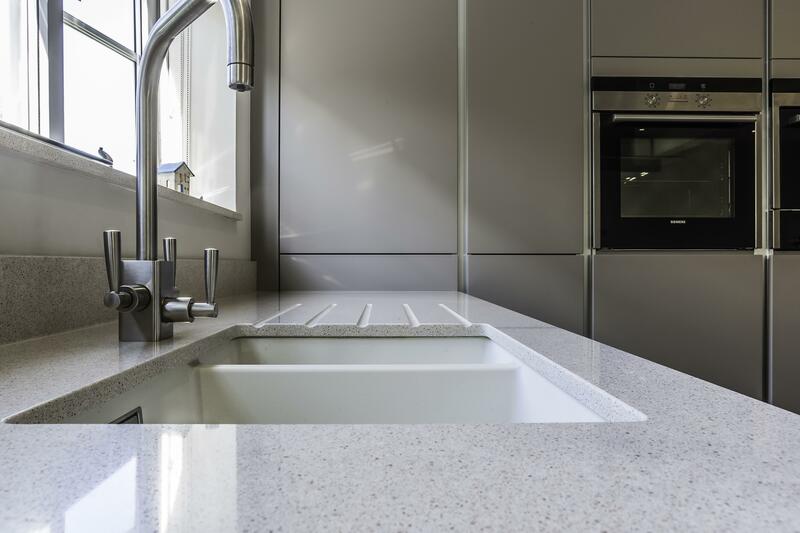 A soft mix of ‘Pumice’ and ‘Mussel’ handleless units have been used in this family kitchen, combined with Silestone ‘Blanco City’ quartz worktops to create a calming space. 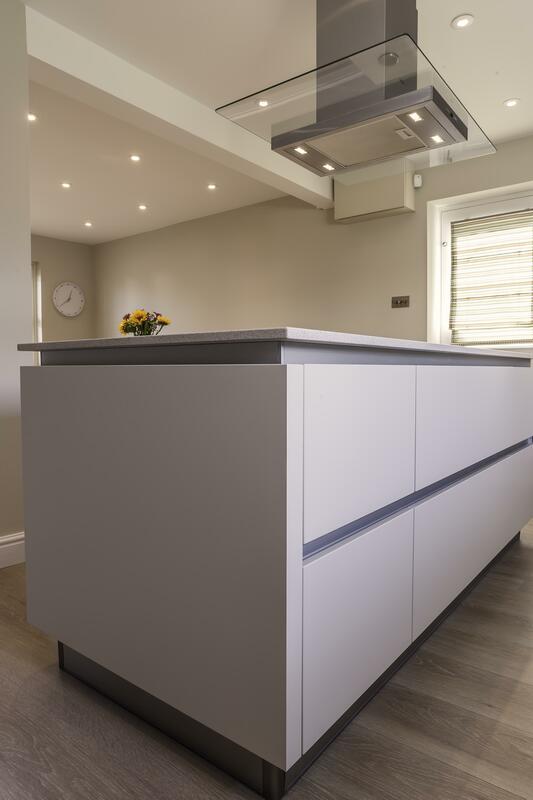 The run of contrasting tall units and island become the focal point in this room, as well as the statement Siemens extractor hanging above the induction hob. 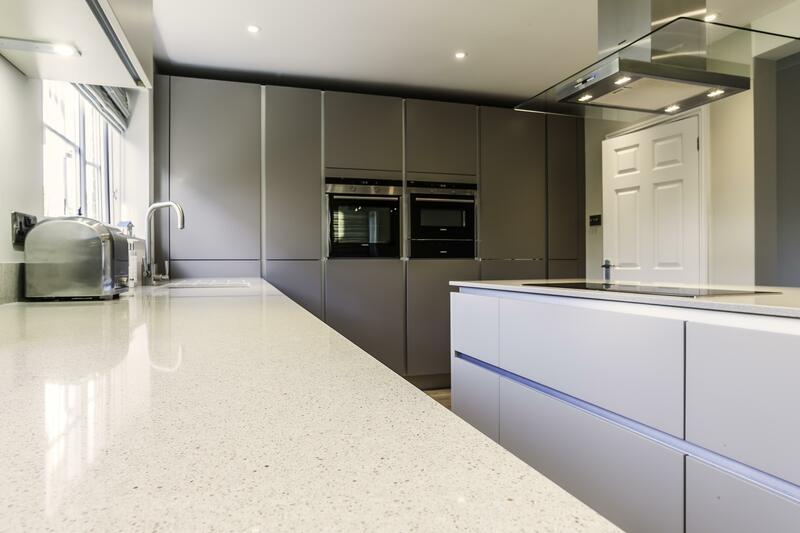 The fridge freezer, single oven, combination microwave and dishwasher complete the Siemens appliances in this kitchen.